Will LASIK correct all my vision problems, so I never need to wear glasses again? No. LASIK surgery will not correct "over-40" eyes. As your eyes age, you may find you need to use reading glasses. Can I have vision correction (laser eye surgery)? The basic guidelines for having laser vision correction include: You must be at least 18 years of age; you must have healthy eyes; you must have stable vision (your distance prescription should not have changed in the past 12 months). 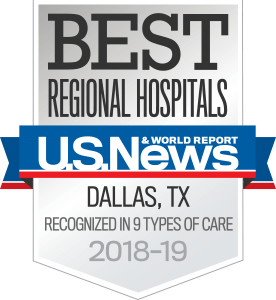 The ophthalmologists at UT Southwestern's Laser Center for Vision Care also provide additional information and advice during our educational seminars. A private screening may be made during business hours if evening hours are inconvenient. After the informational seminar, you'll be able to schedule a one-on-one appointment with one of our ophthalmologists. During this appointment, a comprehensive eye exam will help us determine if you are a good candidate for laser eye surgery, and if so, which particular type of surgery is best suited to your visual needs. How does laser eye surgery work? An excimer laser delivers short pulses of a cool beam of ultraviolet light that removes a small amount of corneal tissue, usually less than the thickness of a human hair. The corneal curvature is adjusted to reduce the refractive error (how out of focus the eye is), therefore reducing or eliminating the need for glasses or contact lenses. What are the benefits of laser eye surgery? Laser vision correction reduces or eliminates your dependence on contact lenses and glasses, so there is a cost savings in not buying new frames, lenses, contacts, and lens-cleaning solutions. Some people find wearing glasses or contacts uncomfortable or inconvenient, particularly while participating in some sports. Some patients just want to be able to see the clock when they wake up. More than 17 million laser vision correction procedures have been performed worldwide since 1990. Data obtained during exhaustive clinical trials show that all patients experience a significant improvement in uncorrected vision (vision without glasses or contact lenses) after laser vision correction. Infection is a rare but treatable complication. How does wavefront LASIK compare to conventional LASIK? Wavefront adds an automatic measurement of more subtle distortions (called higher order aberrations) than just nearsightedness, farsightedness, and astigmatism corrected by conventional LASIK. However, these higher order aberrations account for only a small amount (probably no more than 10 percent) of the total refractive error of the average person's eye. Conventional LASIK increases higher order aberrations. Although wavefront-guided treatments attempt to eliminate higher order aberrations, results from the clinical studies have shown that the average aberrations still increase, but less than they do after conventional LASIK. What is "All-Laser LASIK," and how does it compare to traditional LASIK surgery? The difference between traditional LASIK and All-Laser LASIK (also known as Bladeless LASIK) is the method by which the LASIK flap is created. In All-Laser LASIK, a laser device called a laser keratome is used to cut a corneal flap for LASIK surgery. This is a newer method to create a corneal flap than the traditional method of using a microkeratome, a mechanical device with a blade. There is no absolute agreement among eye surgeons on the better choice for flap creation. What will my vision be like after surgery? This depends largely on the amount of correction required. Most people require a low to moderate degree of laser vision correction that should result in vision similar to that with glasses or contact lenses. Vision is usually blurry in the first day or two after the laser vision correction procedure. It is expected that most patients should be able to legally drive without corrective lenses within one week. What follow-up is needed after surgery? Post-surgery follow-up visits are required at the following intervals: 24 hours, one week, one month, three months, six months, and 12 months. Your eyes will be light sensitive for up to one week after surgery. The eye heals during this period so we recommend you take a day or two off work and avoid light exercise. You should not drive for 24 hours after the surgery and be careful not to get soap or shampoo in your eyes while bathing. For one to eight weeks, you should avoid any activities that might cause you to get dirt or dust in your eyes, such as rubbing the eyes, gardening, strenuous exercise, heavy-duty house cleaning, or contact sports. You should not swim or use a hot tub or whirlpool during this time. Your doctor can give you a specific length of time to avoid these activities or tips for protecting your eyes while they heal. Before LASIK, do I need to get an eye exam? Yes. Before treatment you will have a thorough eye examination to determine whether your eyes are healthy and suitable for laser vision correction. If you have been wearing contact lenses, it is important that the lenses be removed prior to the examination. The rule of thumb is to remove the lenses two weeks before the exam if they are soft lenses, three weeks if they are gas permeable, and four weeks if they are hard lenses. A detailed video and computer image is taken of your eye that will detail the curvature, shape, and overall smoothness and regularity of the cornea. Corneal thickness measurements are taken and refractive stability is verified. How long do I need to go without makeup? You should not wear eye makeup to your initial eye exam or on the day of surgery, and you should not wear eye makeup for two weeks after surgery. Base, powder, and blush are OK if you take care not to get anything in your eyes. How long do I have to be out of my contacts? Because contact lenses reshape the cornea slightly, you should remove your soft contact lenses two weeks before the initial eye exam. If you wear gas permeable lenses, you should remove the lenses three weeks ahead of time, and four weeks for hard lenses. What other preparations are there before LASIK? These products as well as debris along the eyelashes may increase the risk of infection during and after surgery. Your doctor may ask you to scrub your eyelashes for a period of time before surgery to get rid of residues and debris along the lashes. Before surgery, be sure to arrange for transportation to and from your surgery and your first follow-up visit. On the day of surgery, your doctor may give you some medicine to make you relax. Because this medicine impairs your ability to drive and because your vision may be blurry, make sure someone can take you home after surgery.